Have you ever stopped to analyse your telemarketing scripts to see the value they are really giving to your outbound team’s success? Having leads is one thing, but having a powerful telemarketing scripts that can communicate, empathise and connect with your customers is another. And it’s an important component in lead conversion. In the scheme of things, in a busy call centre, telemarketing scripts can often be rushed and as a result may not hit the nail on the head when it comes to effective sales communication. The language may sound stilted, staged, confused, irrelevant and directionless, with no hint of a beginning or an end. And this can let the whole team down. With a weak script, leads will lose interest and start feeling irritated and desperate to hang up. If this is happening, and lead conversion is going down, take a few moments to step back, analyse your telemarketing scripts – from language to purpose and tone – and give them the following 6 important tweaks. Decision paralysis is like being a kid in a candy store, with a dollar in hand, feeling dazzled and dizzy by all the choices around and not knowing where to start. This is what to avoid when you call a lead. For telemarketing scripts, this technique of highlighting scarcity motivates customers to make decisions more quickly and feel like they are a part of something exclusive. 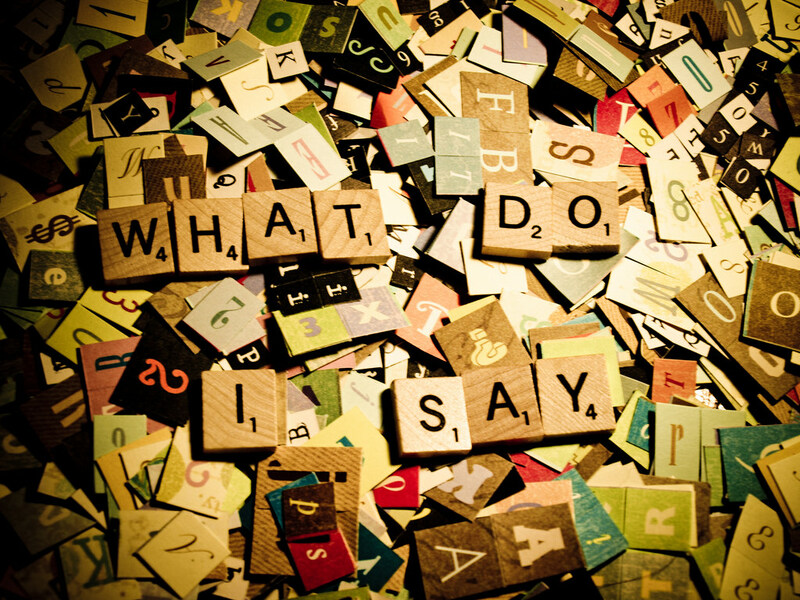 Use language that is definitive and sets boundaries for what’s on offer and the amount of time it’s available. You want them to feel like the clock is ticking while giving them the space to make an informed decision. It’s a funny thing but when we’re offered only one thing, it can be hard to decide if it’s really the best thing out there. But when it’s put side by side with something else, it suddenly becomes easier to compare and make a concrete choice. Using the technique of comparison and setting price anchors in telemarketing scripts, makes it easier for consumers to place value on what they’re buying up against other similar products. The classic example of is the case of the William-Sonoma bread machine brought out in the 90s. It was introduced for $275 but didn’t sell well. Then it added a more advanced machine for $400 and the lower-priced model started flying off the shelves. Why? The psychology to it was quite simple. And this is where strategic pricing also comes into play. Price differences help people arrive at a decision about the value of what they’re being offered in context to everything else that has been introduced. You just need to decide what you want to be the anchor as the decoy or intended product bought. You may already have an idea from the lists you’re using of the buyer types you’re calling. This could be information on their gender, age, occupation, location, contact with telemarketers, and other notes on their buying habits and preferences. Or perhaps you’ve dug a bit deeper and are using a Myers & Briggs Type Indicator or Spencer Johnson Who Moved My Cheese? system on customer personas. Whatever the system, the main thing you want to establish is the kind of buyer persona you’re appealing to and the type of language they will they respond to. By identifying these, you start to fine-tune the kind of dialogue you want to use in your calling script. It could be more geared towards a time-poor manager executive who only has 2 minutes to talk, and want the information emailed through after in 10 neat dot points. Or an aficionado in what you’re selling, who wants the low down on every new tech feature and addition. Or a busy parent that is price sensitive and more interested in how it will help the whole family. These are all markedly different buyer types, and with your notes and asking the right questions, you will start to get an idea of how you can better target your language, time your script, and ask questions that are relevant to your lead. Solving problems through flexible telemarketing scripts is what it’s all about; identifying customer dilemmas and offering solutions that get to the core of an issue. This means less time selling and more time listening. To do this, you need to ask the right questions to find out their pain points. Is it money? Time? Tech dilemmas? Family pressures? Get to the bottom of what is failing them. To do this you need to strike a fine balance between asking closed and open-ended questions. Closed questions elicit a ‘yes’ or ‘no’ answer, i.e. ‘do you own a house?’ while open-ended questions ask for more detail i.e. ‘are you satisfied with your current home mortgage?’ As you can see you’ll get a lot more detail out of an open-ended question. Once you’ve got the balance right, attach a human feeling to the solution you are offering. Show how you can save them time, money, frustration and transform their experience through your product or service. If the lead is a call back, address points from the previous conversation, recognise issues they’ve raised, likes or dislike, and show you’ve done the research to address their problem. If they’ve had a bad experience in the past, be the devil’s advocate. Recognise their frustrations, try and show them that you ‘get it’ and can understand their reservations. The main thing you want to do is show that you’re placing yourself in your customer’s shoes. That you have empathy for their situation and want to offer a solution that perfectly matches their personal needs and preferences. This telemarketing technique comes back to the whole idea of setting boundaries in what you’re selling. Creating a sense of urgency inspires customers to make clear decisions, without the luxury of time and being able to mull over something then possibly cast it aside to be forgotten. Urgency solidifies the decision making process. It gives customers a timeline that can work within to make a decision and helps sales agents set up a timeline for making call backs the second and third time. In essence creating the boundary of time can set both the agent and customer free; where both know where they stand and how much time they have to make the next move. Be about the brand…and more. You want to transmit the essence of the product or service you’re selling as well as the deeper human values that makes the sales conversation worthwhile. A brand will have a language style, a set of values and personal mission; you want to get a grasp of this when developing the tone of your script. Use words that attach to this sentiment, language that evokes the brand’s soul, from light and energetic to serious and measured. And then there is the actual customer interaction you’re having in the moment. The relationship should always be a two-way street, where the customer is getting just as much out of the conversation as the agent is. You want to show that what you’re offering is a unique proposition that aligns with what they need. That it ticks all the boxes when it comes to the question of ‘what’s in it for me? And most importantly that you recognise they only have a certain amount of time to talk, or conversely that you have all the time in the world to discuss their pain points. If there are any additional deals you can offer – do it! Offering free shipping, free installation, free training…all of these incentives add value to what you’re offering and build trust in the relationship you’re building. As well as using telemarketing techniques to optimise your calling script, you want to back this up with powerful contact centre software that delivers the ultimate phone experience. So, as you can see, having software like this at your fingertips makes a huge difference to the overall customer experience. No matter how good your script is, a lead will judge you harshly if they are at the receiving-end of a clunky old phone system. And by the same token, if their experience is smooth, fast and enjoyable they will reward you greatly with more focus and interest in your newly-tweaked telemarketing scripts. Want to improve your call centre operations too? Download our comprehensive 35-page ebook on the 14 ways to make more call centre sales without spending more.